Premium. That is the Wilson Federer Elite Bag in one word. 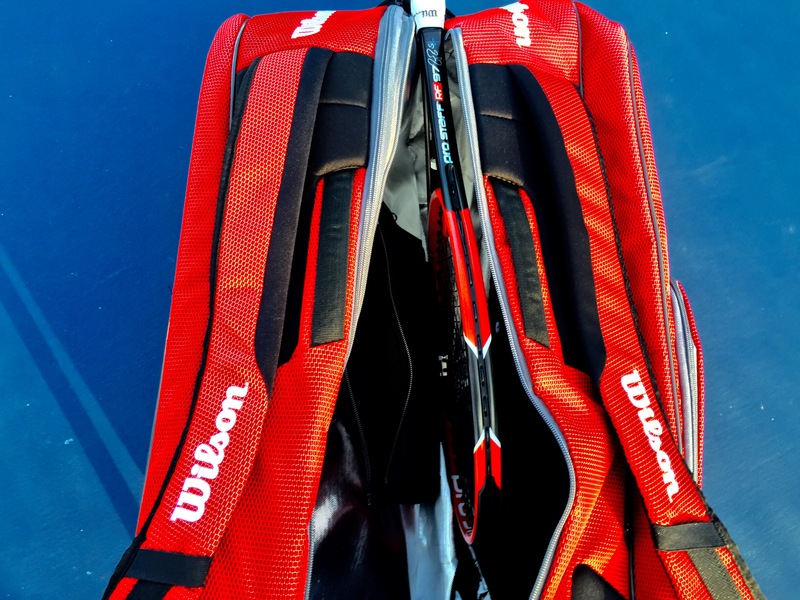 The fit and finish of Roger Federer’s red and black Wilson bag on court is a high quality bag made for professionals and serious tennis players alike. The bag is packed with new technology, featuring premium materials all around and inside. Thermoguard 2.0, Wilson’s layer for climate protection, lines the inside of the ‘RF bag’, preserving your rackets and their strings. The Federer Elite Bag holds up to twelve rackets, contains a large compartment for holding shoes, and still maintains additional outside pockets for accessories. There’s even a soft, fleece-lined pocket inside the bag for your mobile device, strings or other accessories. 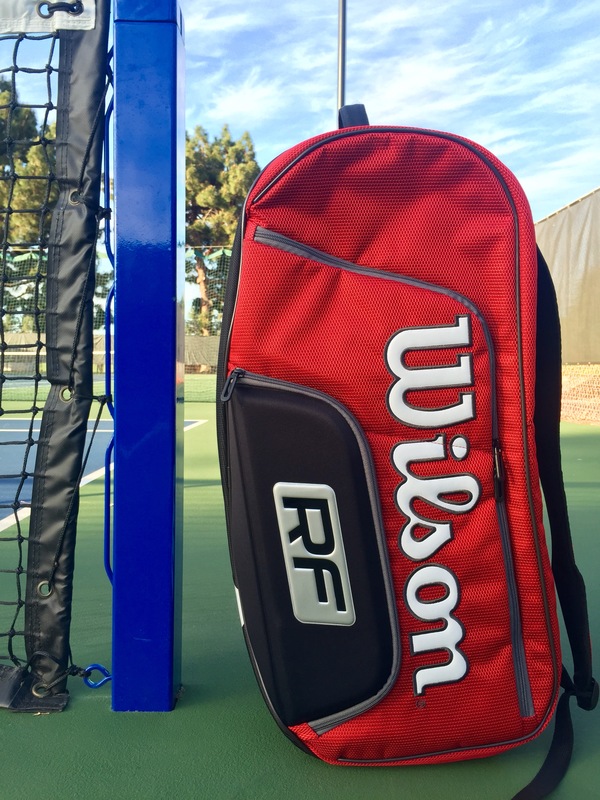 The Wilson Federer Elite Bag features molded plastic covered by an EVA padded finish, to provide superior comfort while maintaining rigidity that lets the bag stand by itself without support. 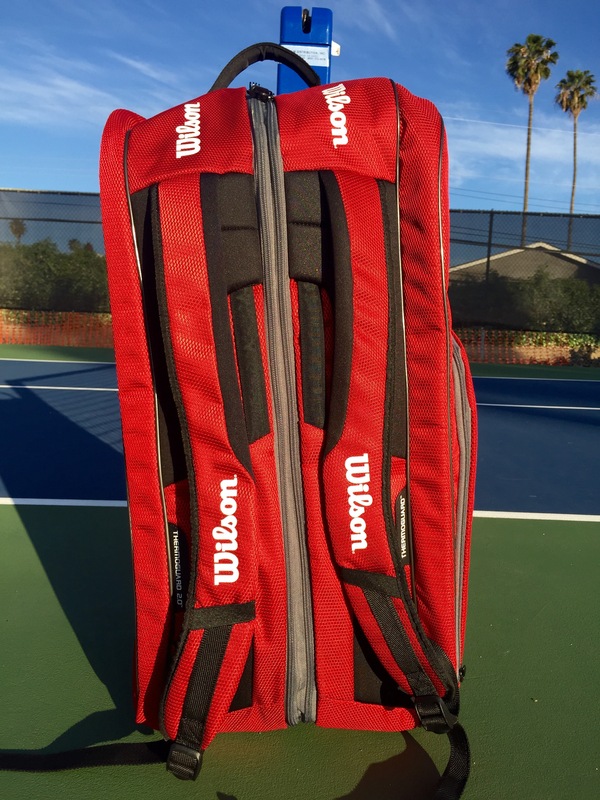 In addition to a handle on the top and cushioned backpack straps, the Wilson Federer Elite Bag features retractable carry handles, allowing players to lay the bag on its side. Measuring 29 inches in length, 13 inches in height and 15 inches in width, this bag fits nicely in the closet or in the back of the car. The premium fabric on the outside is 900D ballistic fabric, seen all around the bag in red and black texture. 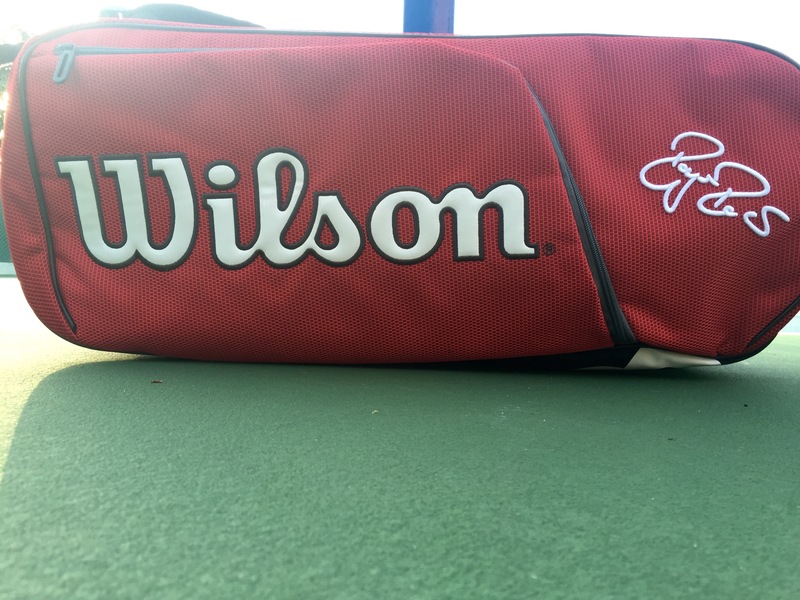 Approved with Roger Federer’s signature on one side and his logo on the other (shoe compartment), the Federer Elite Bag is Wilson’s best bag yet, and a perfect companion on court. The Wilson Federer Elite 12 Pack Bag can be purchased at your local Wilson authorized tennis shop or through online retailers (direct links: Tennis Warehouse, Tennis Express, Midwest Sports).